The new D1 by Diez chairs bring movement into static sitting. This movement is made possible by the Dondola® technology integrated into the chairs. Designer Stefan Diez has taken this technology to a new level. The seat joint is compact under the spacious seat frame made of net-covered steel pipes and ensures constant micro-movements when sitting. This relieves your spine and strengthens your back muscles. Flexible, strong back thanks to the new Dondola® seat joint. 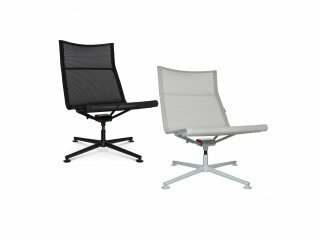 Whether it's the D1 Office for the desk or the D1 Low for reception and meeting areas: Sitting is no longer a rigid matter; sitting is now permanently dynamic. The three-dimensionally movable Dondola® seat joint makes it possible. The trick here is the movement of the axles. In the joint made of Zamak alloy, the two axles of the chair come together. On one axle is the frame for the back, and on the other, the frame for the seat. This allows separate movements of the seat and backrest. This makes you free to move while you are sitting. Does not look like a classic office chair. But is one. The D1 chairs do not look like conventional office chairs. But they don't have to. Completely new, everything unnecessary is left out of the chairs. What remains are efficient technology and functionality-based choice of materials. At the very least, it ensures a light and filigree exterior. In the end, you have a chair with classic potential. One that does not move you, but that helps you to move yourself. In a really comfortable way. D1 chairs in the overview. 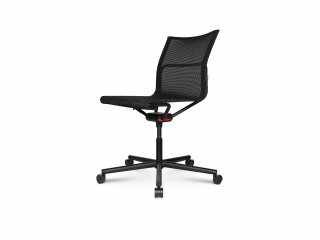 The D1 Office chairs are perfect for everyday work at the desk. 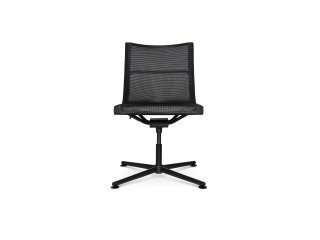 D1 Low can be used for a seating area for reception, meeting, or retreat areas. What use are many words when sitting decides in the end? 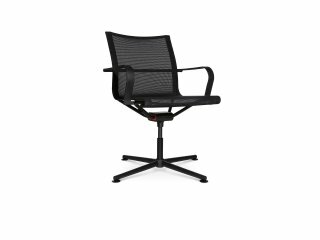 You can test the D1 and many more office chairs at our store.